I always think of Israel as some obstinate defiant people of the past. People I have nothing in common with other than serving the same God. It’s been my assumption that the Israelites didn’t really care about or want to do the right thing. That they were deliberately defiant towards God’s direction and will, and because of this, they struggled. But what if they didn’t do it on purpose? What if they were like me and wanted to do good…yet they found themselves falling down and failing over and over again. I think this could be the case. The Israelites saw The Lord part the Red Sea. The Lord led them out of captivity and provided for their every need while they wandered in the desert…and yet they wanted more. They became frustrated with God. They grew tired of waiting and began to lack confidence in Him. They could not see Him, and out of emotional desperation and prideful arrogance, they built a golden calf. It sounds so silly. That a people who had seen such miracles could doubt The Lord. Or does it? I’ve seen some pretty substantial miracles in my lifetime. Most personal to me, when The Lord lifted me out of depression. None the less, at times, I still doubt Him. I still wander in the desert wondering if He will provide. The most pronounced struggle in my life right now has to do with food! I’m starting to empathize with the Israelites as every time a slice of pizza or a sugary treat enters my line of vision, I can’t resist! I might as well erect an idol to these unhealthy inappropriate foods and worship them! And it’s not that there is anything wrong with these foods. They aren’t the problem. It’s my attitude towards them that is the problem. It’s the fact that I have 28 pounds to lose, not to be skinny, but to be healthy, and I can’t resist the things that are leading to my deterioration. It’s the fact that I would hide if I could and shove these foods in my mouth until Jesus comes back, maybe even longer! It’s the fact that I can’t seem to turn myself from these foods and take care of my body like The Lord desires for me to do. I am worshiping them and the way they make me feel with no long term thoughts or cares about the consequences. I am worshiping the golden pizza. And that my friends, is a problem. So what do I do then? What did the Israelites do? The way I see it, I have two options. I can continue to bow at the feet of my cravings. Or I can choose to bow only at the foot of the cross. It may seem silly to spiritualize this battle with food, but when we take it to the core, the battle is very spiritual. It’s about so much more than food. It’s about, as Lysa Terkeurst wrote in Made To Crave, craving God-not food. It’s about satisfying my desires with Him rather than a donut. It’s about celebrating my victories in new ways other than with food. It’s about choosing to swallow my pride and get real with God about the sins that are depriving me of much desired intimacy. 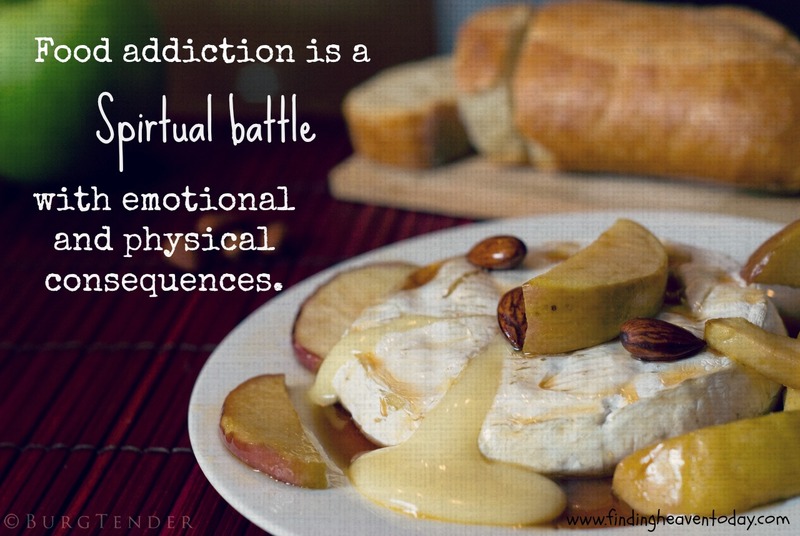 For me, my food addiction is about so much more than food. And maybe it is for you too. So rather than being stiff necked and backing myself out of the blessings The Lord has for me, I will choose to turn from my idol and run to Him. Every time I’m tempted I am going to visualize myself bowing down to the gigantic golden unhealthy food, and rather than bow to my cravings, I will turn and bow to Jesus. Will I make mistakes? Most likely yes. But each time I choose to glorify God with my body and healthy choices, the food idol falls away a bit more, and God chisels my mind-body-and spirit to be the woman He has called me to be. Stephanie Clayton is a counselor with a passion for integrating Bible teaching with professional counseling. She has a Master’s Degree in Counseling and a Bachelor’s Degree in Psychology. She serves with the Proverbs 31 Ministries Online Bible Studies Team in the areas of professional counseling advisory, teaching, planning, and development. Stephanie also works as a counselor with homeless children and families. She has experience and training in the areas of poverty, substance abuse, anxiety, depression, dialectical behavioral therapy, and cognitive behavioral therapy. 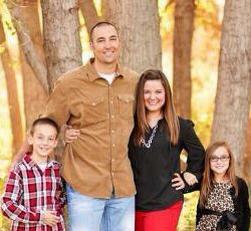 Stephanie, her husband Kevin, and their two children live in Amarillo, Texas. You can find out more about Stephanie by visiting her blog atwww.stephanieclayton.org. Linking Wednesday with Tracy and Michell. hmm, this is so powerful, and has left me a LOT to think about and dwell on in my spirit. I agree with you, that food can definitely be an idol. It is one of my biggest struggles, but I am getting more and more conscious of the fact that I need to stop trying to diet, and start trying to live to please God in my food choices: 'whatever you do whether you eat or drink, do all for the glory of God.' Basically I need to change my habits to eat what I need to be healthy and glorify God, with the occasional treat that won't stop that from happening. I think I'm gradually changing my mindset but like everything else it takes constant retraining of thoughts which have been there for a long time!